I gave up watching TV about 20 years ago when I realized that for 10 years before that, I hadn’t seen anything I enjoyed watching, just people with strained expressions on their faces saying nonsensical things to each other. 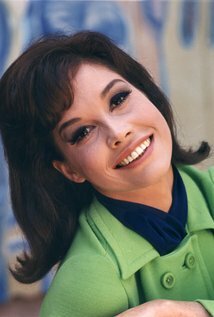 My fondest memory of television is the CBS Saturday night lineup that I watched as a kid: All in the Family, The Mary Tyler Moore Show and The Bob Newhart Show, and I will always have fond memories of Mary Tyler Moore. Footnote: Those shows were followed on Saturday nights by The Carol Burnett Show, which I didn’t watch because Carol Burnett was not funny. Not to say women can’t be funny, but it seems like the women with the greatest comedic reputations — Carol Burnett, Lucille Ball, for example — are never funny. To be fair, Harvey Korman and Tim Conway were not funny either. I’m nobody! Who are you? / Are you nobody, too?